This morning over 130 DCU staff and external guests from around Ireland attended the launch of a major new brand called “DCU Connected”. Today’s launch by the President of Dublin City University, Professor Brian MacCraith, marks a very significant milestone for both DCU and the National Institute for Digital Learning. The NIDL has played a key role in the development of the brand, although importantly ‘DCU Connected’ is inclusive of teaching and learning activities throughout the University and Linked Colleges. 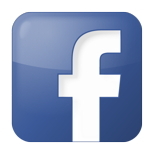 Of particular significance is the way ‘DCU Connected’ places the focus on the way learners can be connected in today’s digital world, wherever they are, rather than promoting a particular delivery mode or technology platform. While ‘DCU Connected’ includes a growing suite of online degree programmes it also encompasses flexible short course options (including MOOCs) and a number of major transnational initiatives with strategic partners. Most importantly, “DCU Connected” is not merely another term for delivering online courses to people living throughout the world. The initiative is grounded in DCU’s mission of ‘transforming lives and societies’ and a philosophy of working with partners around the globe to develop local educational experiences for local requirements. During today’s launch DCU’s new overarching brand for its digital learning environment (Loop) was also announced but more information about this initiative will be available over the next few weeks. The intention is that all DCU students will be in the loop, part of the loop and will play a key role in making and maintaining the loop! A copy of today’s formal press release issued by DCU appears below. Dublin City University today announced the launch of an exciting new online, flexible learning brand, DCU Connected. This overarching brand encompasses a growing suite of online degree programmes for both undergraduate and postgraduate students, as well as flexible short course options and major transnational initiatives in many countries where DCU has already established strategic partnerships. These strategic partnerships around the globe will provide a key point of difference for DCU Connected, as they greatly extend the range of study options available to students. They also reflect DCU’s mission of ‘transforming lives and societies’ by working with other organisations around the globe to jointly develop the most appropriate world class educational solutions for addressing local problems. Professor Mark Brown, Director of the National Institute for Digital Learning at DCU, noted that “DCU has over 30 years experience offering what was traditionally known as ‘distance education’. DCU Connected is the evolution of our commitment to flexible learning but with a more contemporary and clearly international focus”. 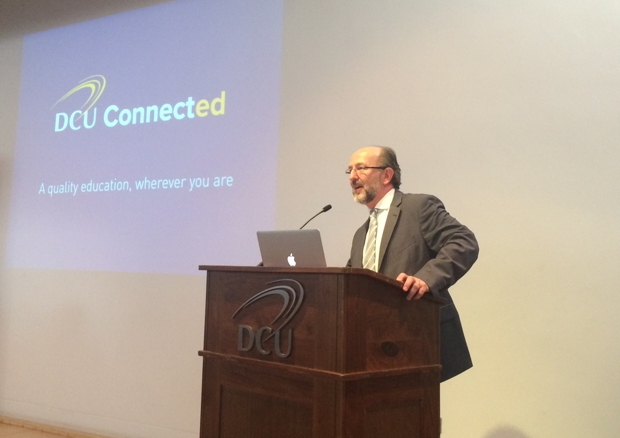 Importantly, DCU Connected “is not just about online learning but a deeper philosophy about the connected nature of learning in the 21st Century — wherever you are”. At today’s launch, the guest speaker was Professor Gráinne Conole, an internationally-renowned expert on digital learning and open education resources, based at the University of Leicester. Professor Conole, who is also a Visiting Professor at DCU, commended the university on its vision and leadership, noting that the brand was future-focused and that “online learning at DCU is no longer at the edge of the university experience; it’s at the very heart of it”. The new DCU Connected website www.dcu.ie/connected will be available from Monday 11th August to coincide with an extensive marketing campaign to support the launch.